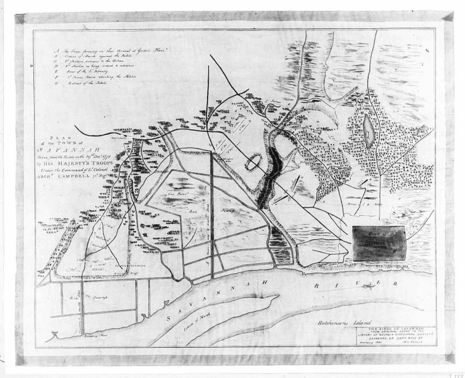 The capture of Savannah, Georgia was an American Revolutionary War battle fought on December 29, 1778 between local Patriot militia and Continental Army units holding the city and a British invasion force under the command of Lieutenant Colonel Archibald Campbell. It was the opening move in the British "southern strategy" to regain control of the rebellious southern provinces by appealing to the strong Loyalist sentiment believed to be there. Henry Clinton, the new commander-in-chief of the British forces based in New York City, dispatched Campbell and a 3,500-strong force from New York to capture Savannah and regain British control of Georgia. He was to be assisted by 2,000 troops under the command of General Augustine Prevost that marched up from Saint Augustine in East Florida. 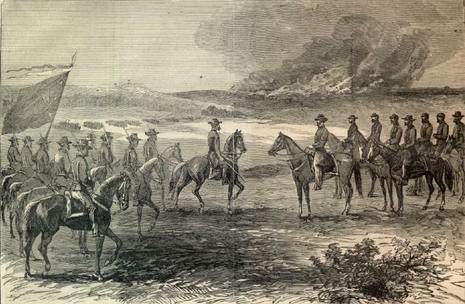 After landing near Savannah on December 23, Campbell assessed the American defenses, which were comparatively weak, and decided to attack without waiting for Prevost. Taking advantage of local assistance he successfully flanked the American position outside the town, captured a large portion of General Robert Howe's army, and drove the remnants to retreat into South Carolina.